Grand list of responses to every serious question that has been put forward about Hamilton's light rail transit plan. We are compiling a grand list of responses to every serious question that has been put forward about Hamilton's light rail transit plan. Here is what we have so far. If you have any additional questions not addressed here, please add them in the comments and we will update the article accordingly. Light rail transit (LRT) is a rapid transit system that uses electric-powered vehicles, running on trails, in a dedicated right-of-way (not shared lanes with cars), and stops at stations instead of bus stops. Yes. Modern LRT vehicles are allow low-floor with at-grade boarding right on the curb. People travelling with mobility devices like wheelchairs and scooters can just roll on and roll off. In addition, LRT provides a smoother ride with smoother acceleration and deceleration, so it is easier and more comfortable for people of all abilities to ride, whether sitting or standing. What LRT technology will Hamilton use? 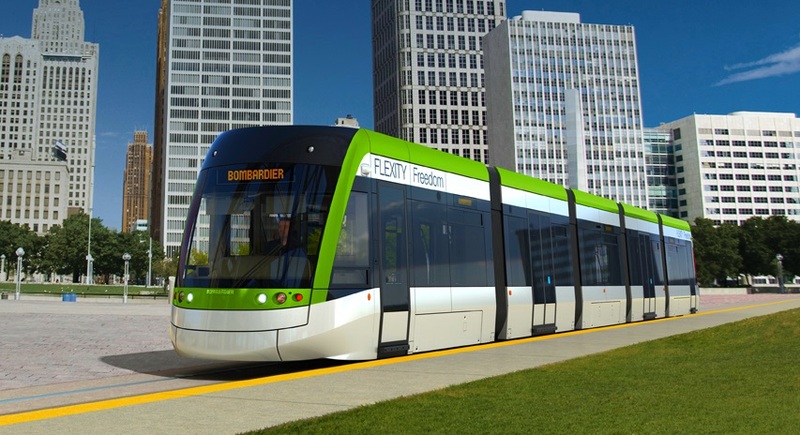 It is generally expected that Hamilton's LRT system will use Bombardier Flexity Freedom vehicles. However, given Bombardier's difficulty in meeting production deadlines, it is possible that Metrolinx will end up going with a different company. The design and class environmental assessment work will be completed between now and early- to mid-2017. A request for proposals (RFP) will be issued in 2017, and a contract with a build consortium will be signed in early 2018. Construction will start in 2019, and the line will be completed in 2023 or 2024. What happens if Ontario changes government in the 2018 election? The implementation timeline was designed in order to commit to a construction contract before the election so that the government following the election, whatever political party, will still be committed to go through with it or else face cancellation penalties. In any case, all three major provincial parties have confirmed that they will continue to support the Hamilton LRT plan should they form the next government. Who will operate the LRT system? That has not yet been decided. The Ontario government will own the system, but might decide to subcontract operation to another party. For the Eglinton Crosstown LRT system in Toronto, for example, operation is being subcontracted to the TTC. What route will the east-west line take between McMaster and Queenston? The line will run on Main Street from Cootes Drive to just east of Macklin; then cross Highway 403 diagonally on a new bridge to King Street just west of Dundurn; then on King Street through downtown to the Delta; then back on Main from the Delta to Queenston. Where can I get more details on the alignment? You can read a summary of the LRT alignment study and see some renderings of how it will look on the street. Will King Street be converted to two-way traffic? Yes. For most of its length, King Street will be one vehicle lane in each direction with two-way LRT in the middle. What will happen through the International Village? Because King Street is narrow through International Village, there is not enough room for two LRT lanes and two vehicle lanes, so the LRT lines will be on the north side and there will be one eastbound lane on the south. This decision was made because businesses on the south side of King need direct vehicle access from the street (e.g. for deliveries), and the multi-unit building at 260 King Street East has its parking garage entrance and exit on King Street. Meanwhile, businesses on the north side have vehicle access from King William and a laneway that runs between King and King William. The City is considering a laneway beautification project to improve access for north-side businesses. Will there be an LRT stop at the International Village? Yes. Local businesses complained that the preliminary station map did not include any stations directly serving the International Village, so staff revised the map to move two stations so they provide direct access to each end of the business district. Why is the line running on King instead of Main between Macklin and the Delta? Opportunity to convert Main Street to two-way traffic to enable continued east-west driving across town. By this point, years of design work have gone into the King Street route. So will Main Street be converted to two-way? That decision has not yet been made. Staff are currently undertaking a city-wide traffic study and will make a recommendation later this year based on the results of that study. Why are we building LRT between McMaster and Queenston Traffic Circle? This corresponds with the B-Line express bus route, which is the busiest transit corridor in the city and carries more than a third of all the bus passenger trips in the city. The current bus system is over capacity with crammed buses and frequent "pass-bys" where a bus is too full to pick up passengers waiting at a stop. LRT is most successful when it operates on a line that already has strong transit ridership, so it makes the most sense to start Hamilton's rapid transit system here. This corridor also has the most potential for new transit-oriented development and value uplift on vacant and underused properties. The section from Queenston to Eastgate Square is to be added in a future phase of construction. Why doesn't the east-west line go all the way to Eastgate Square? Ward 5 Councillor Chad Collins is opposed to LRT and the Province does not want to force infrastructure where it is not wanted. The Province wants the LRT to connect to Regional Express Rail via the West Harbour GO station. Because of these, the decision was made to stop the first phase of the B-Line at Queenston Traffic Circle and build a spur line north on James Street. How will LRT run on James Street? The north-south line will run in the centre lanes in mixed traffic, i.e. sharing the lane with other vehicles. This decision was made because the distance is short and running in mixed traffic will not affect travel times significantly. How far north will the James Street line go? It will definitely go as far as the West Harbour GO Station. If budget permits, it will extend all the way to the Waterfront. Will James North lose all its curbside parking? No. Because the LRT is running in mixed traffic, most curbside parking will be retained. Why aren't we building the north-south A-Line first? LRT is most successful on routes where there is already strong transit ridership, and the north-south route is still growing from a low baseline. If the City continues to invest in growing service levels, ridership will continue to grow and the benefits case for extending rapid transit north-south beyond the James North spur line will continue to improve. Does the Main/King corridor actually have enough ridership to support an LRT line? The corridor already carried about 29,000 riders per day in 2009, according to the 2010 HSR Operational Review, and ridership has grown significantly since then. The current bus system cannot handle the demand. Based on this, the 2013 Rapid Ready LRT plan predicts that Hamilton's LRT would have up to about 2,200 daily boardings per kilometre on opening day, with big potential for further growth. That opening day ridership would give us better per-kilometre performance than cities like Los Angeles, San Diego, Dallas, and even LRT poster-child Portland. Is the LRT design set in stone? The general routing is already determined and the Provincial funding is only for LRT along this route. However, implementation details like the number and placement of stations, road crossings and so on have not yet been finalized. The City will be undertaking a broad public consultation over the next several months and will incorporate feedback from this consultation into the final design. Staff representatives will also personally visit every affected resident and stakeholder along the LRT route to establish contact, explain the plan and gather feedback. LRT is actually the best way to avoid gridlock, because a dedicated lane for LRT can carry a much higher capacity of people than a motor vehicle lane, and there is nowhere to add more vehicle lanes through the city. City staff are currently doing a citywide traffic modelling study in part to determine what changes, if any, are needed to ensure traffic can still flow through the city during LRT construction. Once LRT is in operation, the line itself will accommodate an increasing share of trips. The preliminary traffic study released in August 2016 concluded that even without any traffic mitigation strategy, LRT will have only modest impacts on traffic. Some intersections will be a bit worse, some will be the same, and some will be a bit better. Yes. As with all road construction projects, LRT construction will be noisy and disruptive. The City plans to engage closely with all affected residents, property owners, business owners and other stakeholders along the LRT route before and during construction to mitigate the disruption. One possibility to mitigate disruption is a phased construction in which each segment of roadway is only impacted for a limited amount of time. There will also be opportunities for creative initiatives and events to support businesses through the construction phase. It is also important to remember that the underground infrastructure along the LRT route is quite old and much of it will need to be reconstructed sooner or later. If we do not build LRT, we will still eventually have to go through the disruption of ripping up the corridor and disrupting business - but we will end up going through that disruption without getting an LRT line at the end of it. It's impossible to predict this in advance, but the City plans to work proactively with business owners to ensure they remain viable. In some cases, this may entail the owner deciding to move the business (and enjoying an uplift in property value if selling the property) before construction starts. In Waterloo, there are reports of a few business closures in which LRT construction was a factor, while some 20 new businesses have opened during the construction phase. At least two businesses have moved, citing LRT construction as a factor in their decision. Road and underground infrastructure that is already scheduled for replacement in the City's capital budget will have to be paid by the city, but infrastructure that is being replaced due to LRT construction will be paid by Metrolinx. Metrolinx has indicated that they will replace infrastructure on a "like-for-like" basis, meaning the new infrastructure will match the old infrastructure in specifications. If the City decides to install higher capacity infrastructure, it will have to pay the difference in cost. That cost, in turn, may be eligible to be recovered through development charges. What if the project goes over budget? Will Hamilton have to pay the difference? No. The Province has made it clear that they will stick to their budget, and the cost estimates so far have been conservative (i.e. high). In the event that the project does go over budget, the Province has said it will scale back the construction to stay in budget. What is Hamilton responsible for? Under the Memorandum of Agreement (MOA) with Metrolinx that Council voted to sign early this year, the City is responsible to adopt zoning, land use and transportation policies that support the success of the LRT system. It is also responsible to streamline any necessary municipal approvals for LRT construction. Metrolinx is ultimately responsible to deliver the project, and the City is responsible to support Metrolinx in making it happen. Will any properties have to be expropriated? Yes. Staff have identified approximately 250 properties where the city will have to buy or expropriate at least some of the property. Of those, around 180 involve small slivers of land on the front or side of the property, while the rest involve a significant fraction or all of the property. Metrolinx is looking to maximize willing-buyer-willing-seller arrangements to avoid expropriating land. On the Eglinton Crosstown LRT project, 60 percent of property acquisitions were willing-buyer-willing-seller arrangements. Who will pay for buying land? Metrolinx is paying for all expropriations as part of its budget. Is there a plan to protect heritage buildings during expropriation? Yes. According to City LRT Director Paul Johnson, staff are updating the City's heritage study to document any impacts from expropriation. In addition, "we have been careful in our alignment work to keep a close eye on what building or properties are impacted." Why is the Province funding LRT in Hamilton? The Province is investing in Hamilton because it needs Hamilton to be successful, and Hamilton cannot achieve its long-term land use, transportation and economic policy goals without the investment in LRT. Has this project been vetted? Yes. Metrolinx undertook a Benefits Case Analysis on rapid transit in Hamilton and concluded that LRT will produce the biggest overall benefit. That is why the Province agreed to fund the project. Brampton turned down their LRT funding. Will they get to spend the money on something else? No. Transport Minister Steven Del Duca confirmed that the money for the Brampton LRT was released back into the Move Ontario Forward fund to be spent on other projects. Brampton is currently starting an Environmental Assessment (EA) study looking at two alternate LRT routes. That study will take approximately three years to complete, after which it can be submitted to the higher levels of government for funding consideration. There is no guarantee that the project will receive a funding commitment to begin detailed design work. All in all, Brampton has delayed any possibility of an LRT system for at least a decade. Could Hamilton still choose BRT instead of LRT? If Hamilton rejects the fully-funded LRT plan, the billion dollar funding commitment will be released back into the GTHA transit fund to be used on the next priority project. Hamilton would have to develop and submit a new transit proposal, which would be have to be reviewed for funding consideration. The best outcome would be that any approval and implementation would be delayed by many years, but given the uncertainty about longer-term transit funding commitments (there is a total budget of $15 billion in the GTHA transit fund) and the possibility of a change in government in 2018, the most likely outcome is that Hamilton would end up with nothing. Why don't we have a referendum on LRT? It is not clear why this particular project suddenly needs a referendum when Council has been exercising its duty to oversee it since 2008. We have not needed a referendum for any other major infrastructure projects in Hamilton's past or other contemporary transportation projects across Ontario. Canada is a parliamentary democracy. We elect political leaders to engage with their constituents and with each other, to review the evidence, to consider likely outcomes against strategic goals, and to implement responsible policies that make good sense and enjoy public support. Wasn't there a referendum on the Red Hill Valley Parkway? No. The municipal election of 2003 is widely regarded as a de facto referendum on the Red Hill Valley Parkway because the highway was a major election issue, the two main candidates for Mayor took different positions on it and the candidate who supported the highway won. However, there was no ballot question on the highway and Council exercised its responsibility as elected representatives in parliamentary democracy to approve and implement the highway. Similarly, LRT was a major election issue in the 2014 election. There were three main candidates who took different positions on LRT - two supported it and one was opposed. Despite the potential for the two LRT supporters to split the vote, the winning candidate - Fred Eisenberger - was an LRT supporter. LRT opponents can't have it both ways: they can't claim that the 2003 election was a 'referendum' on RHVP but the 2014 election was somehow not a 'referendum' on LRT. Buses are an indispensable part of a city's transit system. However, there is an upper limit to what a city can accomplish in terms of passenger capacity and land use with a bus-only transit system. LRT is higher-order rapid transit that has a much higher passenger capacity and speed than a bus system. The per-passenger cost to operate LRT is significantly lower than for a bus system because each driver can carry many more passengers. LRT is also better at attracting new riders than buses - many people who do not want to ride a bus will choose to ride an LRT vehicle. LRT is quieter, smoother and more comfortable than a bus. It is emission-free at the tailpipe (and most electricity generation in Ontario is non-polluting), so it is cleaner. LRT increases the total transportation capacity of a busy city street in a way that cannot be achieved by squeezing in more vehicle lanes. LRT attracts new private investment in dense, mixed-use transit-oriented developments in a corridor roughly half a kilometre on either side of the line. This new density increases the city's property tax revenue, makes more efficient use of existing infrastructure, and increases the area's potential for innovation and economic growth. Developers like to invest around an LRT line because the public investment is a long-term commitment to the success of the community that reassures private investors. Why don't we build bus rapid transit instead? Bus Rapid Transit (BRT) is a rapid transit system similar to LRT, but using high-capacity buses riding on rubber tires on the road instead of electric vehicles riding on rails. Properly designed, BRT also runs on a dedicated right-of-way (i.e. not shared with other traffic) and has stations where passengers pre-pay to board. The capital cost for BRT is lower than LRT - but not a lot lower. It costs up to half as much per kilometre of BRT as it costs for LRT, because the roadway still needs to be reconstructed to support the weight of a high volume of buses (e.g. with concrete rather than asphalt), curbs must still be installed for the dedicated lanes, stations still need to be built, and so on. But while the capital cost is lower, the operating cost is much higher. Most of the operating cost of a transit system is paying the vehicle operators, and an LRT driver can carry many more passengers than a bus driver. By coupling two LRT vehicles together, a single driver can carry up to 250 passengers, more than twice the capacity of an articulated bus. Couldn't we have BRT without the dedicated lanes and stations? That would be just regular bus service, and we already have that today. By spacing stations farther apart, some routes are called "express bus service", but this is not rapid transit by any meaningful definition. In addition, the construction phase will provide up to five years of well-paying construction jobs for Hamiltonians. As well, Metrolinx has promised to work with community organizations on "social procurement", which means taking social benefits into consideration when making hiring, purchasing and procurement decisions. On the Eglinton Crosstown LRT project, that has meant local employment, apprenticeship and supplier opportunities for people living in Toronto. How many construction jobs will this project create? Potential exists for 6,000 construction jobs (provincial), 3,500 of which are expected to be in Hamilton. Potential also exists for 1,000 permanent jobs (provincial) with approximately 300 jobs in Hamilton to deliver regular operations and maintenance. B-Line LRT investment may result in an estimated increase of more than $443 million in Ontario’s GDP based on construction related jobs, employment related to the supply of goods and materials and induced benefits related to additional spending power. That was for the original B-Line route from McMaster to Eastgate Square, but the total distance being built under the approved plan is similar, with a shorter east-west route but a north-south spur from King Street to the West Harbour. Has Council actually voted for LRT yet? Council has consistently voted for LRT in a large number of motions dating back to early 2008, when Council first approved the Rapid Transit Office and directed staff to undertake a Rapid Transit Feasibility Study. Council voted to submit the city's LRT plan to the Province for funding in early 2013, and then voted again to reaffirm their support for LRT with full funding in mid-2013. In 2014, they voted to start implementing the local transit actions identified as necessary to get ready for LRT. In early 2015, they voted yet again to ask for full funding for LRT, while also asking for another $300 million for local transit projects. Later in 2015, after the Province confirmed full funding, Council voted to establish a new LRT Office and to create a new LRT Sub-Committee reporting to Council. In early 2016, Council voted to approve a Memorandum of Agreement with Metrolinx outlining the two parties' respective accountabilities in designing and implementing the LRT plan. So why is Council support suddenly an issue again? One or two long-term councillors have recently become more skeptical about LRT (one is now openly oppose), despite having consistently voted in favour of LRT in the past. They began a whisper campaign suggesting that Council no longer supports LRT. In response, Ward 4 Councillor Sam Merulla introduced a notice of motion for the May 11, 2016 Council meeting calling on Council to reaffirm their support for LRT. Instead of doing this, Council immediately voted 9-6 to approve a motion by Ward 15 Councillor Judi Partridge to defer a vote on the LRT motion until the the May 18 General Issues Committee meeting, where Councillors received an update from the LRT Sub-Committee and a presentation of the preliminary design study by LRT Director Paul Johnson. After subjecting Johnson to four hours of grilling, including a reprimand by City Manager Chris Murray to Ward 8 Councillor Terry Whitehead for his inappropriate line of questioning, Merulla agreed to put off reintroducing the LRT motion. It is now expected to be reintroduced in October. Some of Council's hostility seems to be a reaction to the way the motion was presented, but it is clear that some Councillors have gotten nervous about continuing to support LRT. This is despite the fact that absolutely nothing has changed to cause a need to revisit the case for LRT that Council has consistently supported since 2008. The only difference is that we are getting closer to actual implementation. This is a time when we need our elected leaders to be courageous and fair and to look past fear of change to the vital strategic goals of this investment. Does Council actually have to vote to affirm LRT again? No, Councillor Merulla's motion is not necessary for Metrolinx and City staff to continue working on implementing LRT. What will happen if Council votes against Merulla's reaffirmation motion? Procedurally, nothing happens. The previous council votes would all still be in effect. To stop work on the LRT design, cancel the Memorandum of Agreement with Metrolinx or adjourn the LRT Sub-Committee would require Council to pass a separate reconsideration motion. Politically, a vote against Merulla's motion would send a confusing and disheartening message about Hamilton's commitment to its own strategic plans. Local developers are already starting to worry about the mixed signals coming out of City Hall. Update, May 24, 2016: Updated response to "Will businesses fail?" to note that there are reports of a few businesses in Waterloo that cited LRT construction as factors in closure; added "Will LRT be integrated with local transit?" and "What will happen if Council votes against Merulla's reaffirmation motion?". Update, May 25, 2016: Updated response to "What LRT technology will Hamilton use?" to note that Bombardier will miss delivery commitment for Waterloo Region LRT system. Update, May 25, 2016: Updated to add "How many construction jobs will this project create?" Update, May 26, 2016: Updated to add "Does the Main/King corridor actually have enough ridership to support an LRT line?" and "Can Hamilton still choose BRT instead of LRT?" Update, June 9, 2016: Updated to add "Is there a plan to protect heritage buildings during expropriation?" Update, August 26, 2016: Updated to add results of preliminary traffic modelling study. Update, August 26, 2016: Updated to add question about Brampton. Update, August 26, 2016: Updated to add question about a station in International Village. 2 things to add and or correct. Most or nearly all conventional railway vehicles (electric or diesel powered) do accelerate slower than a bus or car! That is because rubber tires on asphalt or concrete have more friction. More friction vehicles accelerate faster. It takes however a lot more power to accelerate them because of that friction. Steel wheels on steel tracks have a lot less friction thus take longer to accelerate but require significantly less power. This is the incredible advantage of the rail vehicle especially with heavy freight. One of the earliest guides to by from the early 20th century went something like this. Let me paraphrase here, a train is considered functional if, 1 horsepower can move 1 ton of cargo at 1 mph for every ounce of fuel, without a increase in fuel use, greater than this ratio! This basic relationship is why even today rail is used for moving cargo. I will try to be brief on the next subject, you can wright entire books about this subject and many have. I have worked with projects in both LRT and BRT planning. As long as a planned BRT system has a passenger carrying capacity that is similar to most conventional LRT projects passenger carrying capacities then yes, they both are actually comparable to each other. This is the reason a private or physically segregated right of way for the BRT projects is often needed so it can to be competitive with LRT. Painted lines on the road do offer some increase in passenger carrying capacity over general mixed roadway use but have a much lower upper limit than a physically segregated right of way. This subtle but giant difference is often forgotten by most BRT proponents when comparing it to LRT! But there is an upper limit to what BRT in a North American operating environment can handle, due to its very steep escalating operating cost scale compared to LRT. Once BRT peak hourly passenger levels start exceeding certain levels (different for every system but usually 5000-7500 p/h/d or about 80-100 buses/h/d)the BRT infrastructure's limitations and multiplier effect on operating cost take hold and start to seriously effect system wide operations and planning. This operating cost limit is why Ottawa is switching now to LRT on the Central Transitway but many other Transitway sections will remain Bus only. Lastly, for LRT supporters and BRT supporters, once you have a well operating system proper system operations features make further basic comparisons difficult. BRT systems can do certain things operationally that LRT just can't do and must be operated like a BRT system not a LRT system with Buses. Thus LRT systems can do certain things that should never be attempted by BRT systems. The common myth that BRT and LRT systems are similar and can be successfully operated the same way, don't hold past this point. They are not the same and will require technology specific experts for both types of operations for continued success in both. I give you this last piece of advice, you can forgive politicians if they say even after a few years of operations that, "BRT is just like LRT but only cheaper", if your operating experts continually say this publically, run for the hills! Yes, 0.3G is about 2.9 m/s^2 or 0-100 km/h in 9.5s. This is far faster than any LRT or bus and is faster than most family cars! Do you have a reference for the claim that LRT does not accelerate faster than buses? There are two factors: rail versus tire and electric motor versus diesel. The data I've seen suggests than in real conditions LRT does accelerate significantly faster than buses. For example the standard Alstom Citadis Dualis has an acceleration of 1.09 m/s^2 to 40 km/h. In comparison the acceleration performance of buses is less well-defined, but this study from Winnipeg measured average acceleration of 0.8 m/s^2, 26% worse than the Alstom LRT. And LRT performance is much more reliable than driver performance for buses. Ottawa figures on transit way service for acceleration and various bus and rail vehicles measured in Ottawa (Letrim Rd Facility) or at other Canadian dynamic & static measuring facilities. The number of motorized axles also makes a big difference as well. This can vary from LRV to LRV, but as a general rule of thumb, acceleration is better than old streetcars. Modern LRT vehicles are Electric Multiple Units, and often have multiple motorized axles. I think they mentioned in the last meeting that they weren't finalized on which LRV to use. The Bombardier Flexity Freedom is the assmed one. But as we know....Bombardier delay hedge. That said, the Hamilton LRT design is made to accomodate multiple different manufacturers, using a standard 4'8.5" gauge and standard low floor vehicles. it is incorrect to say that no businesses have closed due to LRT construction. in the midtown area of King St between Kitchener & Waterloo 4 businesses have closed. The impact on this area has been catastrophic. Thr businesses were McDonald's, 7/11, Ratz-Bechtal Funeral Home, & Laura Sharp Flowers. I am supportive of the LRT but a better staggered plan may have saved these businesses. When I visited the ION LRT construction, I walked past that McDonalds. I peered through the windows and it was one of those old unrenovated McDonalds, with STUCCO walls! Very 1980s. It was probably a teardown reno at that stage, although I kind of liked that McD style as a kid. Very Ronald Mcdonald white-red-yellow scheme. There seem to have been several factors involved in the closure of the funeral home apart from LRT, especially consolidation in the industry. Local competitors say the writing had been on the wall for some time. Service Corporation International funerals typically cost more than those at independently-owned funeral homes, according to industry studies. "It's sad, but I wasn't surprised at all," said Rob Wintonyk, co-owner of the Erb & Good Family Funeral Home in Waterloo. "The numbers have changed so much over the years. As the corporations purchased them, and changed their pricing and staffing models, the public catches onto that." It is also important to balance the closure with the opening of other businesses and compare the actual rate of closures with the usual churn of businesses opening and closing. I do agree that a carefully staggered plan and good communication is important and that for businesses already struggling to survive the impact of major construction can push them over the edge. It's incredible how the city spends money in the suburbs adding more and more subdivisions putting money in the hands of suburban builders and developers and yet not putting money into the older part of the city that requires investment to attract more young skilled people to live below the escarpment. There shouldn't even be a debate for LRT for Hamilton, it's something that is absolutely necessary for this city to move forward as a modern, progressive city as most progressive thinkers see it. Good news! That project has been launched. Oh, you're wearing lipstick. Good to know. One important advantage of modern LRTs not frequently mentioned here, is 100% fully level boarding. TTC doesn't do this (at this time) and use a deployable wheelchair ramp, much like buses. 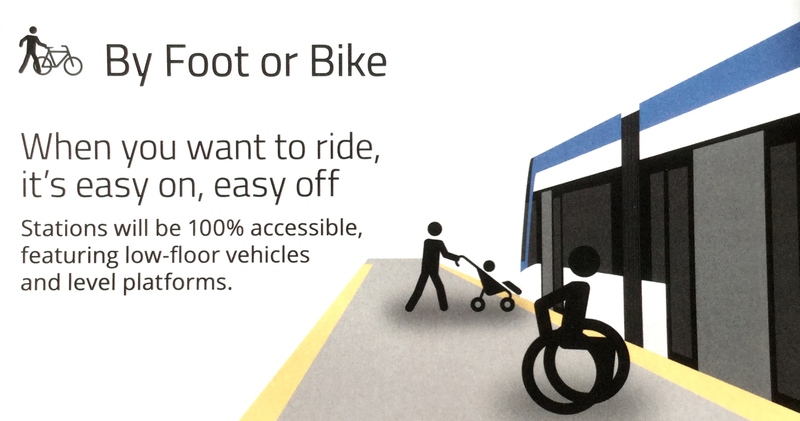 100% of Hamilton LRT's stations are 100% wheelchair acessible -- full equal opportunity -- no fold-out ramps -- fully subway-style level boarding. The vehicles stop, all doors open simultaneously, you get on subway-style, the vehicles moves to the next stop without stopping (thanks to automatic green light traffic priority systems). In my experience in other cities, it is the closest to a subway experience you can get on surface roads. You can keep standing, and read newspapers/text/surf without grabbing a pole. Modern LRTs accelerate really smoothly and you can behave like a subway passenger, not needing to grab a pole when you lose balance on a bus. All of this combined, increases transit ridership. It's a lot less painfully boring/lot less stressful (especially for older) during peak. Also, these are daisychainable to 2-train trainsets. Hamilton LRT's platforms are being built to accomodate longer trains (2-vehicle 10-segments). With 8 doors opening simultaneously, it feels like a mini-subway of sorts. My experience in other cities elsewhere in the world, is that this type of LRT it feels 75%-subwayish, 25%-buslike. The gap is tiny, like a subway, you can just wheel on. Also, with low-floor high-performing LRVs, lower more-discreet platforms that doesn't blatantly "stick out" as much as high platforms (like Calgary C-Train). This is actually more appropriate for Hamilton. The long 5-segment LRTs provide more motorized axles giving better traction/acceleration than both yesterday's streetcar and faster acceleration than articulated buses (Manufacturer specifications show acceleration approximately 0.2m/s faster). This is not your grandpa's streetcar that got removed from Hamilton roads. These modern LRTs typically dont need to stop except at stops (thanks to traffic separation & automatic transit-priority green lights). The speed of a modern LRT is actually very similar to a subway as a result. See, this ain't a "bus on rails". See, this ain't yesterday's "streetcar that got ripped out". Please add this question to the list: What are the estimated operational and maintenance costs of LRT vs current operational and maintenance costs of B-line buses? The Brampton LRT analysis (screenshots here: https://twitter.com/fightgridlock/status... suggested the city would save around $300,000 per year over with LRT compared to existing bus options. What would it cost for us all to just go back to living in caves? So I lived in Toronto for just over a decade. I used to use St.Clair street back in the day as a quick means of travelling across the city without having to go way out of my way to get to a highway. Then they put in the LRT exactly as they are proposing in Hamilton. A major 4 lane artery was reduced to 2 lanes, parking became a huge(er) issue and St.Clair became the street to avoid if you are driving. I think this is going to cause way more headaches than it will solve. If it goes the way of St.Clair street then you will be looking at major traffic congestion on Main and streets that weren't so busy will take over the traffic that main used to have. Putting in LRT will not magically make everyone stop driving. Not sure what the answer is here I just know from my own experiences the headaches that reducing the capacity of a heavily used street can cause a city. The St Clair ROW is not as well designed, is slowed down by frequent stops in comparision, is not ramp-free wheelchair accessible (not subway-style level boarding, not even with new streetcars), it does not run train consists (chained vehicles), it doesn't use modernized transit priority like the one used in Europe. The Kitchener-Waterloo system is being designed with much better transit priority, much larger stop spacing for high performance, catenary operation rather than trolleypole operation, slightly higher (double-curb-height) platform for perfectly level subway-style boarding, train consist operation (2 LRV vehicles daisychained). St. Clair has none of the above, and does not use modern transit-priority systems. St. Clair is one of the more LRT-like streetcar routes, but it is quite legacy and not as accessible. Hamilton LRT is going to use a similar system to the median sections of the ION LRT. I hope you are right. I would be excited if this all worked out. I am just really skeptical about the planning vs the practicality of it. I think a significant difference between St. Clair and King is that there are a few major arterial streets running parallel to King that can easily carry a greater traffic load. I lived in Davisville up until 3 years ago, and you're right, going east-west there was a disaster, but it's just not comparable to King. Not to mention we're talking about Toronto traffic vs. Hamilton traffic. Rush hour in Hamilton compares to a Sunday afternoon in Toronto. P.S. I know it's beside the point here, but the only thing the St. Clair streetcar has in common with the proposed Hamilton LRT is dedicated lanes. There's definitely going to be a reduction in the amount of traffic that King Street can accommodate. Part of the plan is for it to stop being an arterial road and instead be a local road. As it stands, the city's motorists utilize a small fraction of our overall road capacity and – between Wilson, Cannon, and a two-way Main Street, there is ample capacity to allow motorists to move across the city. It's also worth noting that St Clair, being a separated streetcar route, has different service goals and stops more frequently than the LRT here is proposed to, offering a slower cross-city trip than we'll see. She also didn't say that 100% funding would be offered for BRT. Based on other BRT projects funding would be much, much lower from the province leaving the local taxpayer having to pickup the difference; which would trickle down into even less funds be available for local HSR transit improvements. She sincerely thought council had decided, after dozens of pro-LRT votes and coming through with the funding for LRT Council requested. But she has confirmed Metolinx's statement that the money must be used for rapid transit (not roads, other infrastructure or the regular HSR bus system). And there is absolutely no reason to prefer BRT over LRT for those Councillors who are opposed to LRT: it would still require dedicated lanes, construction would be difficult and take years and it would still go in the lower city. It would also provide minimal economic uplift, be noisy and unattractive to new riders. No one in Hamilton has been genuinely enthusiastic about BRT except as a way to confuse the debate over LRT. When LRT opponents claim to support BRT they really mean just 'maybe a few more buses', not an actual BRT on specially constructed dedicated lanes with signal priority that would have the same affects on traffic and would be worse for businesses and residents than LRT. Can someone please clarify the ridership numbers along the B-line? One councillor is consistently tweeting out that to support LRT, the ridership needs to be a minimum of 7,000 rides per day and that we're not even over 2,000. Yet, when I read the Feasibility Report prepared in 2013, the b-line only annual ridership was 1.3 million boardings (3,500/day) , plus another 2.2 million in transfers (from King, Del & SC Central) = 3.5 million / 365 days = 9,589 / day. On top of that, the whole Bline corridor is 9.2 million in annual ridership so it would be reasonable to predict some of those additional 5.7 million trips might also opt for a LRT alternative. Regardless, the Feasibility Report confirms we're well over the 2,000 rides being communicated to the public. Is the report wrong? 2000 per day is nonsense! The 2010 HSR operational review found that the east-west LRT routes (1, 5, 10, 51) carried 30,000 riders per day and ridership has grown significantly since then. A comparison of the proposed B-Line LRT with other systems in Canada and the United States showed that system performance as it relates to ridership would be mid range as compared to the other successful LRT systems on opening day and be one of the top-performing systems in 2031. The Rapid Ready Report does show a figure of 2000, but the vertical axis is clearly wrong by a factor of 10-20 since it gives Calgary's daily ridership as only about 4500, whereas it is actually 240,000! I have asked the Rapid Transit Team to publish the correct numbers before this incorrect figures gets accepted! Hamilton's current B-line and 1-King buses together carried about 5.3 million annual riders in 2010, or about 14,500. 2000 is clearly not possible. Mystery solved: the same graph on p 29 of the Rapid Ready Report is captioned "Daily Boardings per km". So at around 2100 daily boardings per km on the original 13.8 km line they project a daily total ridership of around 29,000! So please tweet back that the opening day ridership is projected to be around 29,000 NOT 2000! And that this number would put Hamilton's LRT in the middle of the pack of operating LRT systems on opening day. If your tactic is to spew out so much BS per comment that no one can bother to reply, well done you. Thank you! I just read through your first link and see where 2000 possibly comes in. It is in regards to density. 2,000 ppl per square kilometre. Hamilton at that time was less intense at 1,951 ppl/km2. We are now over that. Or as you've now pointed out, he's referred to boardings per km but there is no corresponding data stating it should be at 7,000 boardings per km to sustain LRT. IMO, tweets are deceitful and aren't worth replying to. I was riding by the former Scott Park site and was wondering where exactly the proposed LRT stop was going to be built. Any map I've seen just says "Scott Park". I'm assuming on the former ball diamond between Melrose and Prospect. Can anyone confirm this? Site plan of the stop location are on page 29 of this PDF, with a cross section on page 64.